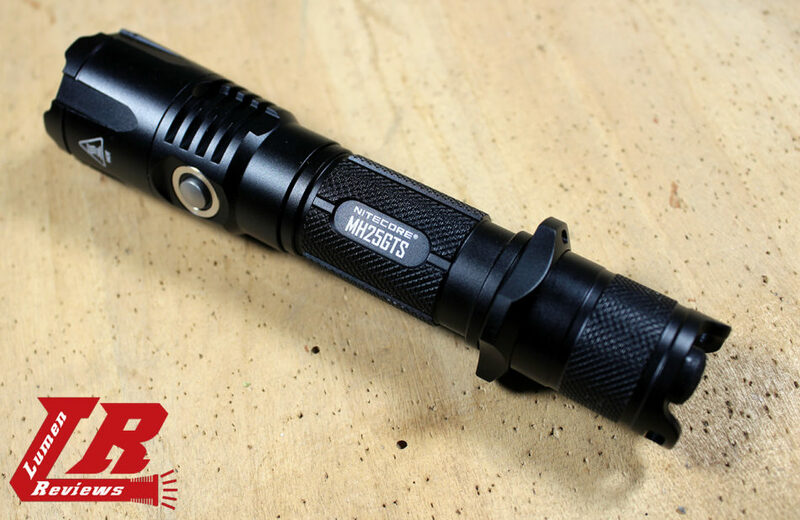 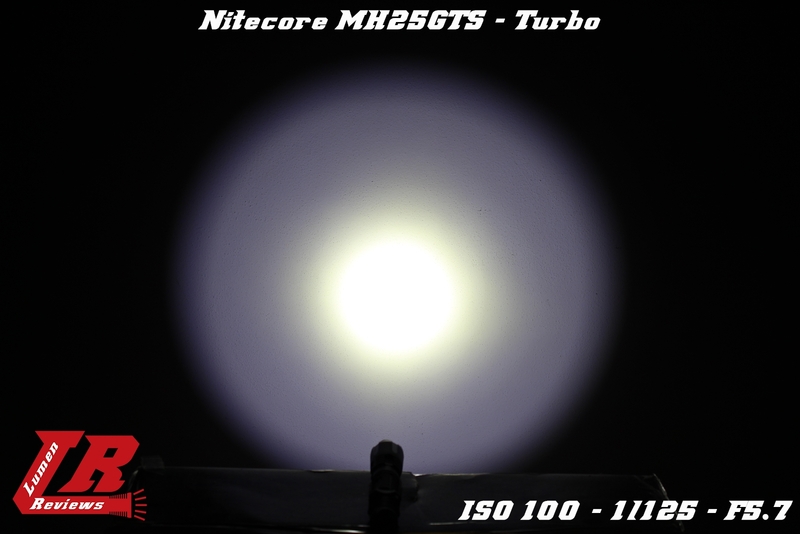 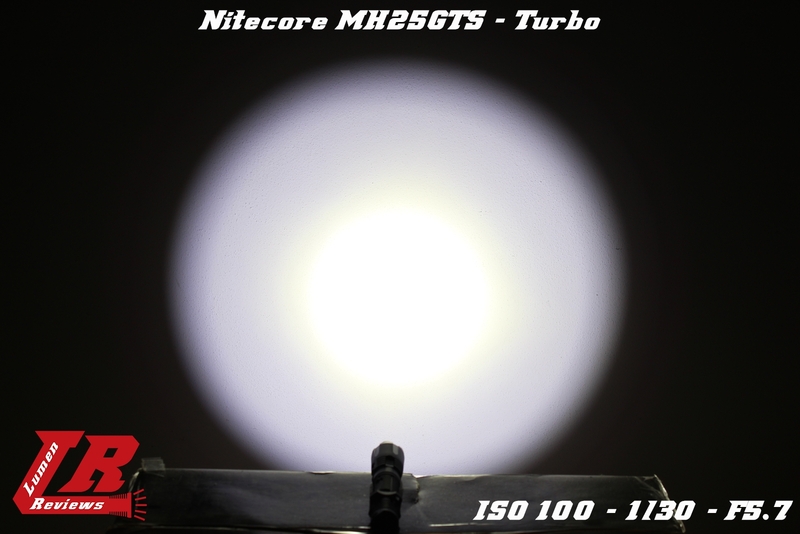 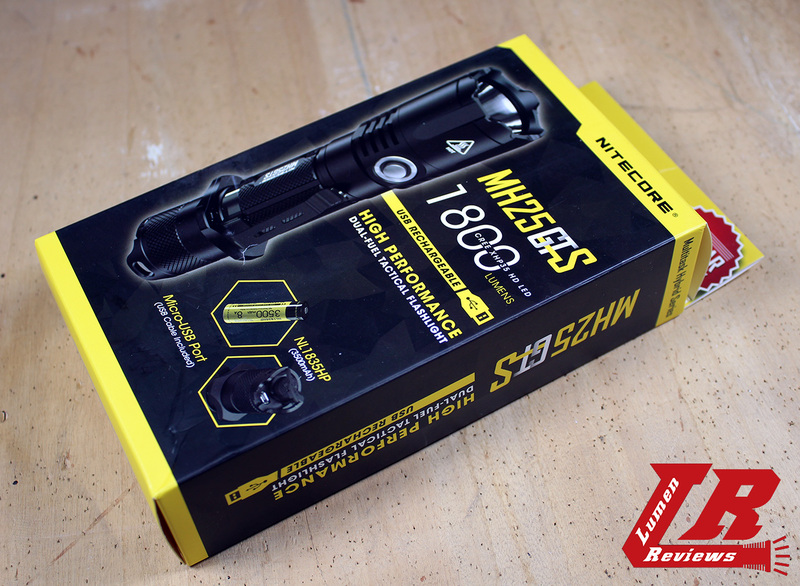 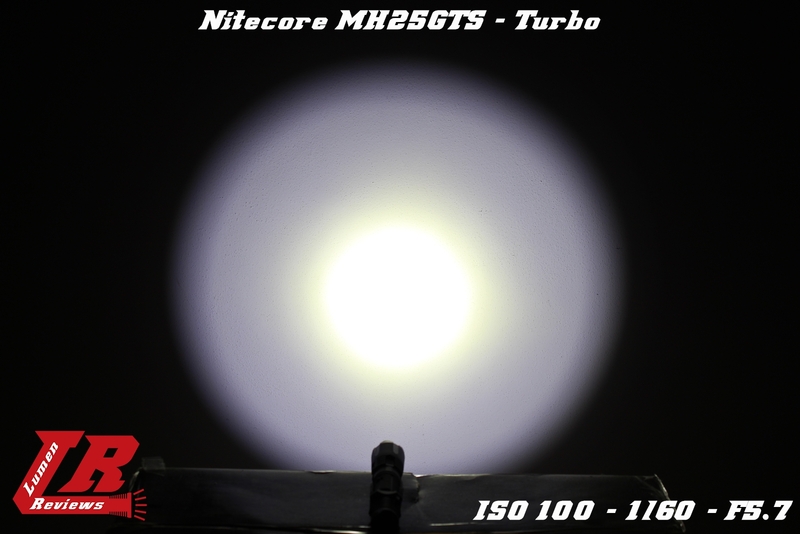 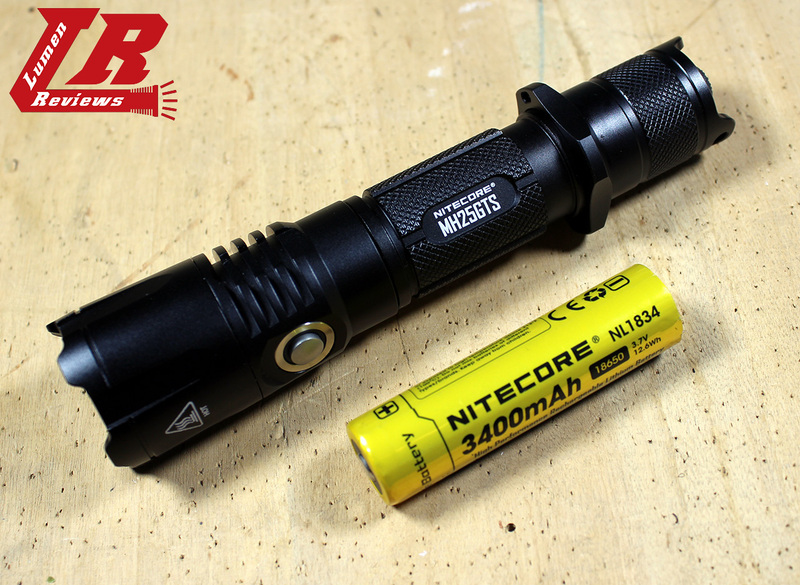 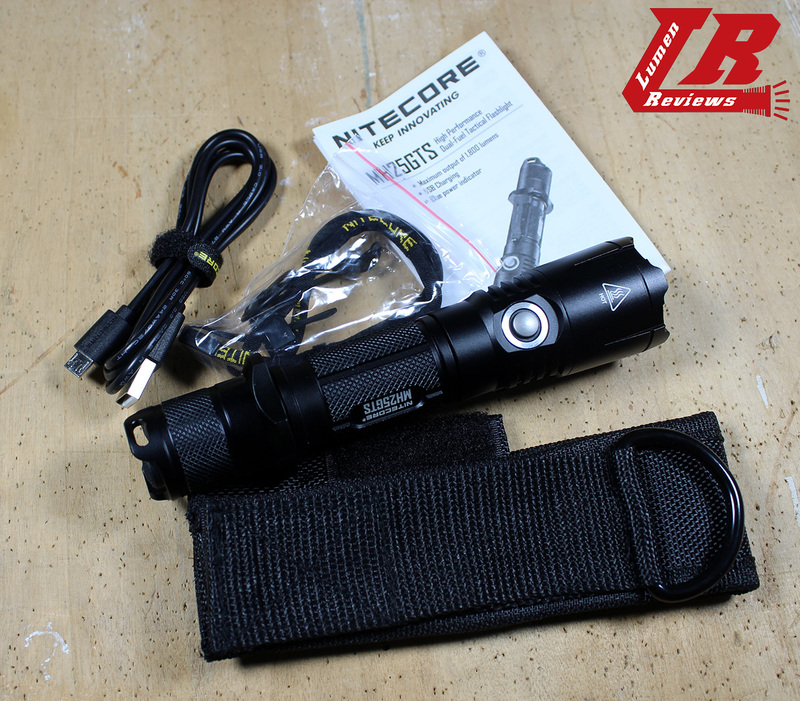 I received the MH25GTS from Nitecore for the review. 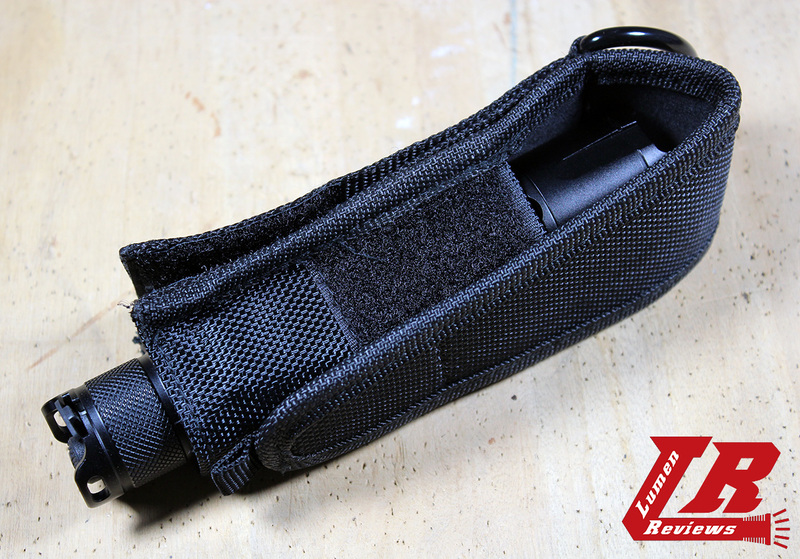 The light comes in this box, with manual, spare o-rings, clip, cigar ring and holster. 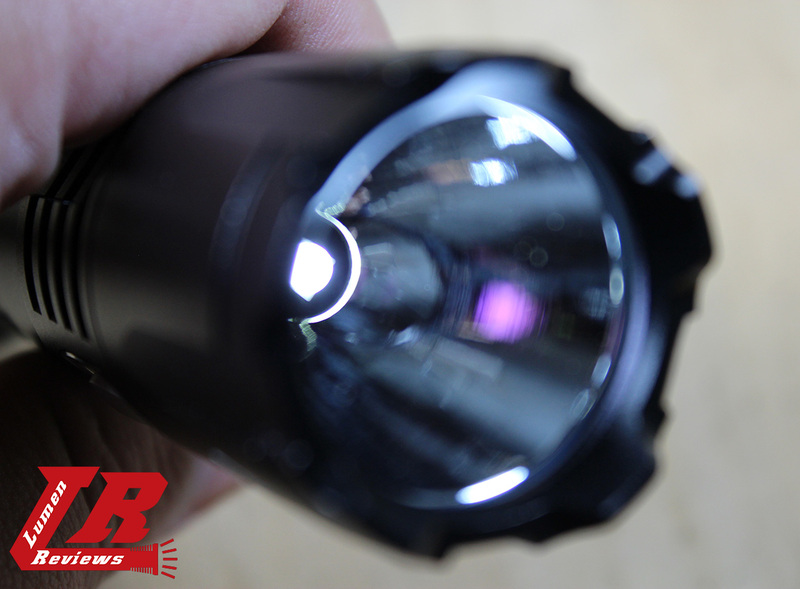 The Smooth reflector and the XHP35HD emitter. 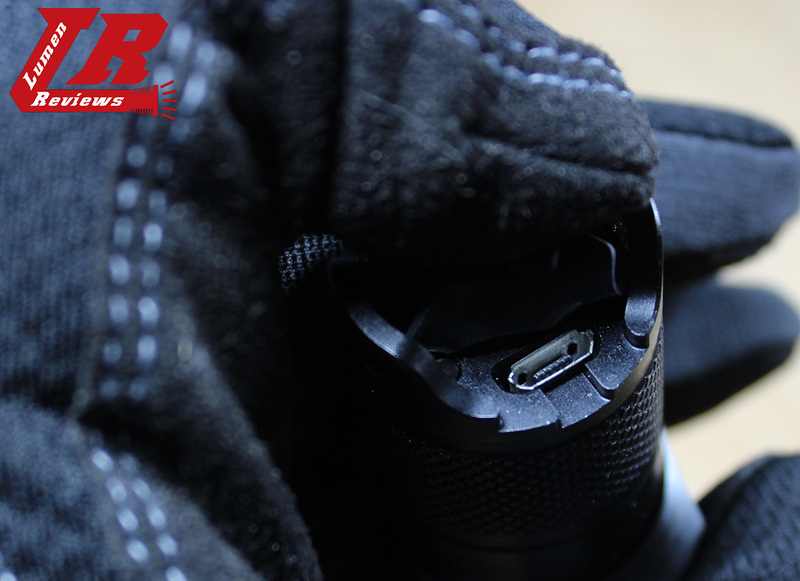 At the tailcap, beside the mechanical forward switch, there’s micro USB for charging and the lanyard holes. 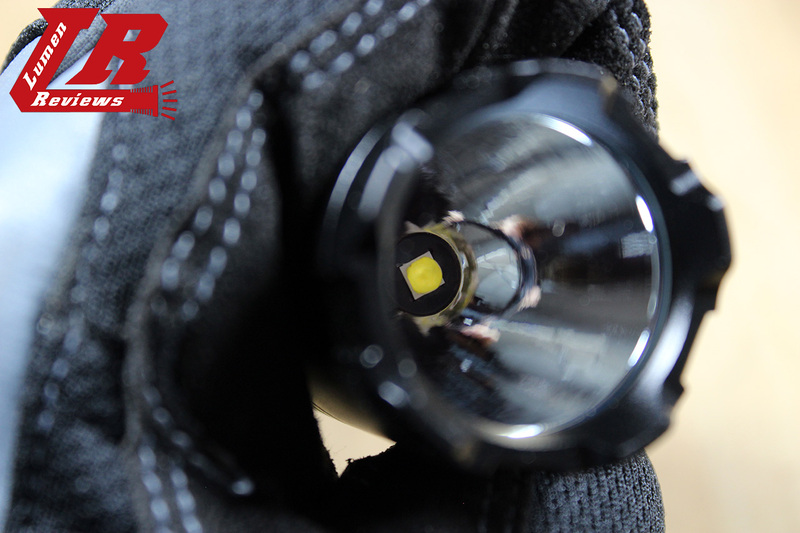 Inside the body there’s a second inner tube to bring the signal of the electronic additional switch. 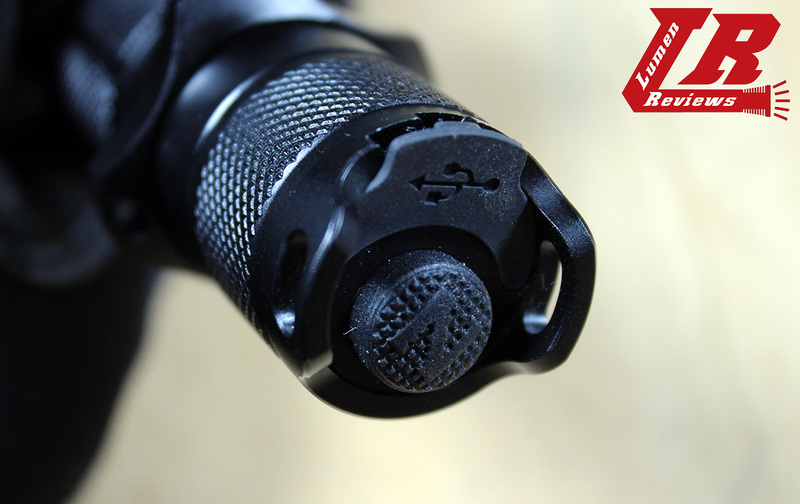 Below the threads for the tailcap, on the body there’s a second series of threads that are used to secure the metal cigar ring. 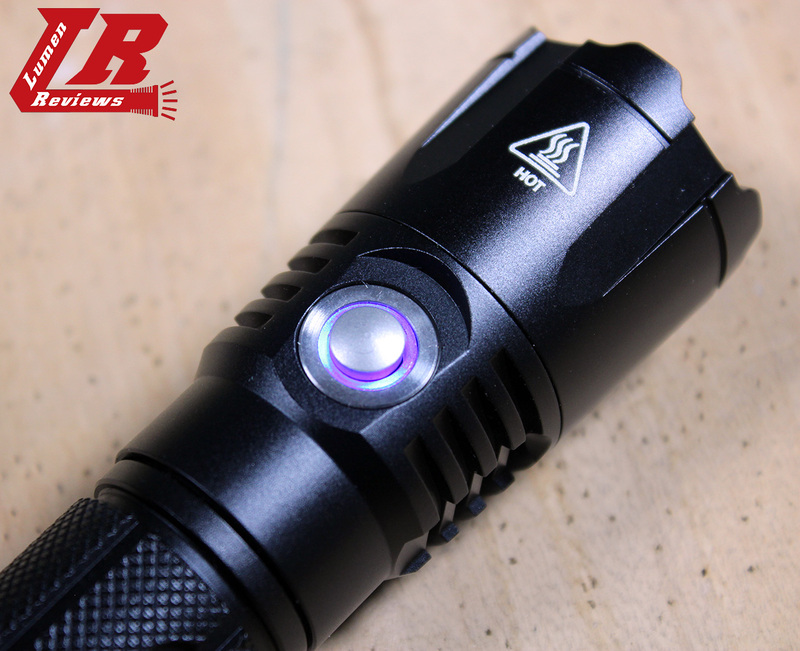 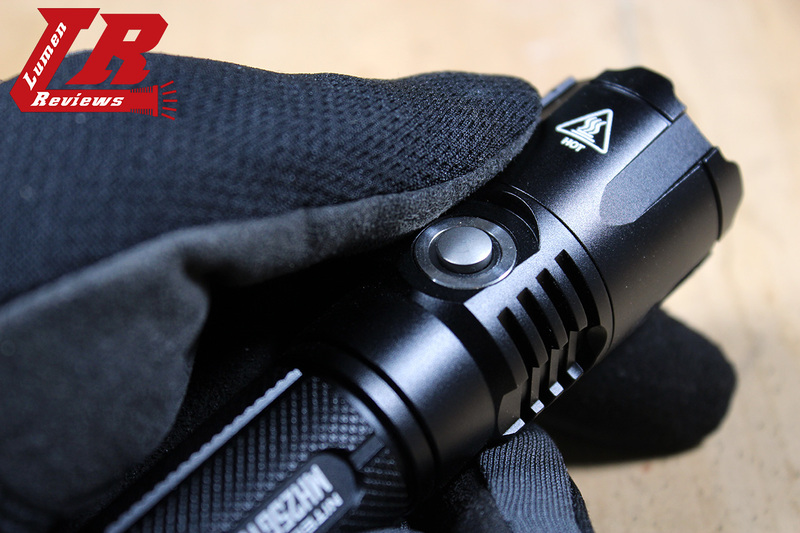 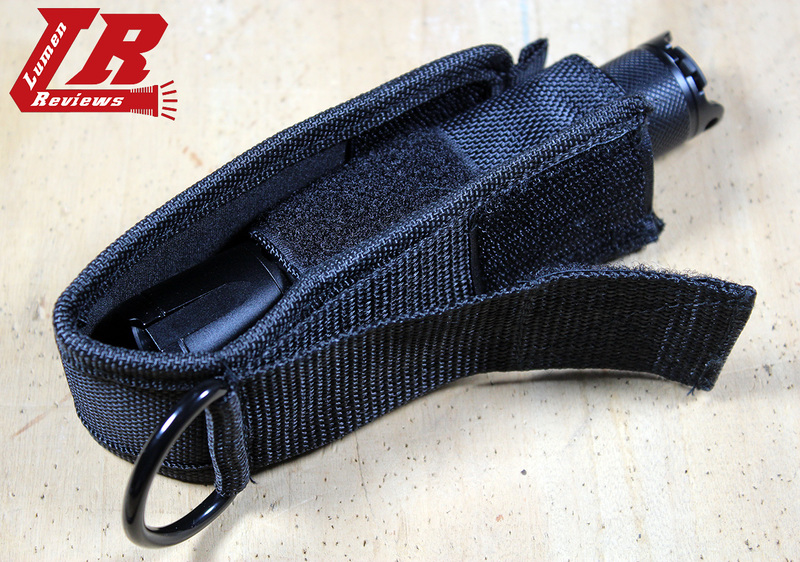 The cordura sheath that comes with the light. 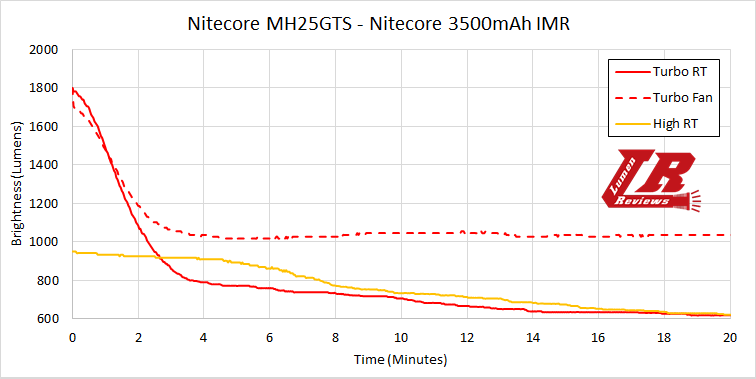 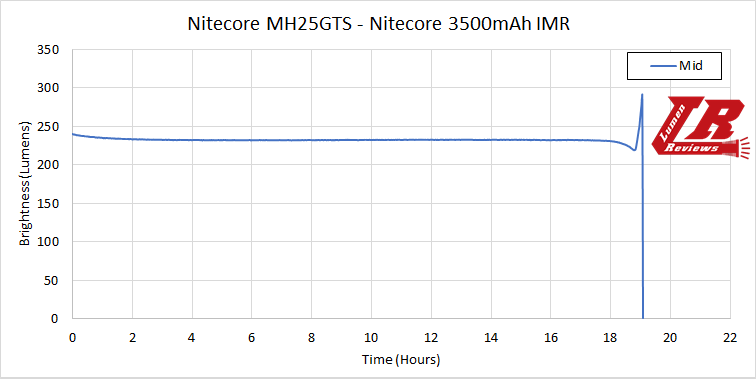 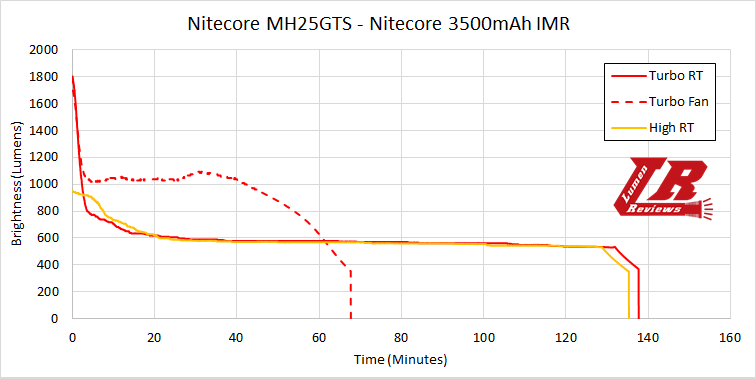 All measured with a Nitecore IMR 3500mAh battery. 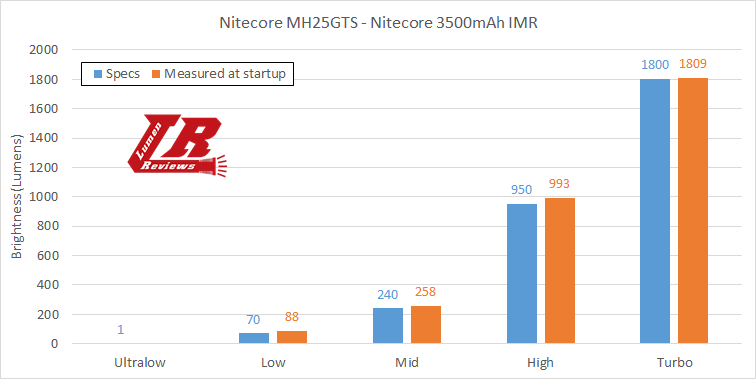 The runtime and the regulation on the tested levels is good. 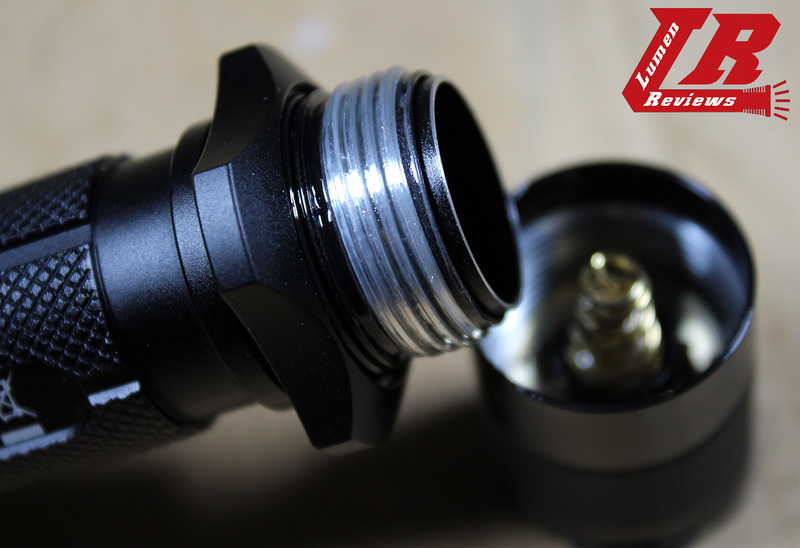 the thermal regulation is there and works. 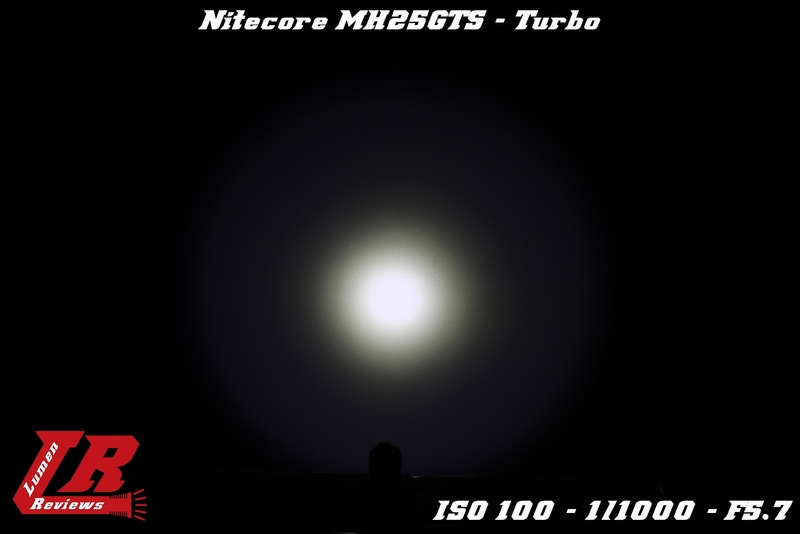 I like the UI with direct access to turbo and lowest level. 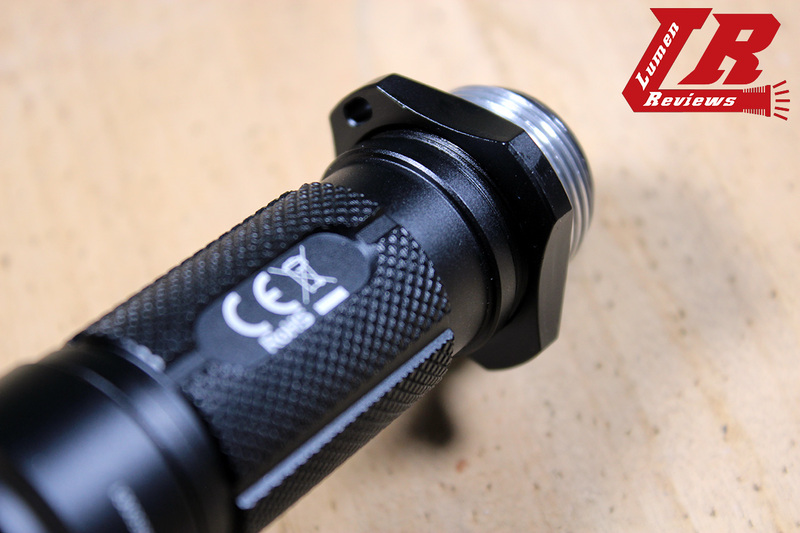 The only doubt I have on this light is the cover of the USB port, it doesn’t stay in place very tightly. 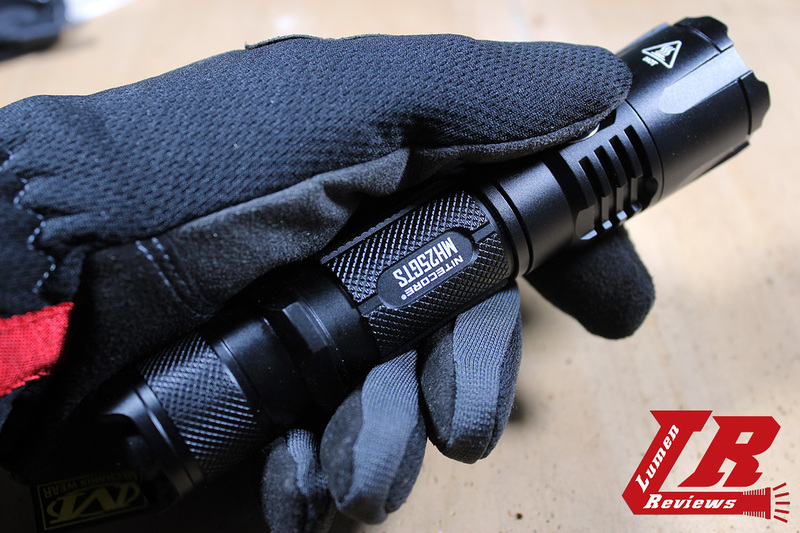 I’d like to see this light come in a nw version.